﻿Happy Friday! Did any of you have a chance to meet Challenge #2 and clear your doorways? Friday came around really fast for me this week, so I was very glad this week's challenge was a little easier than cleaning out my closet. 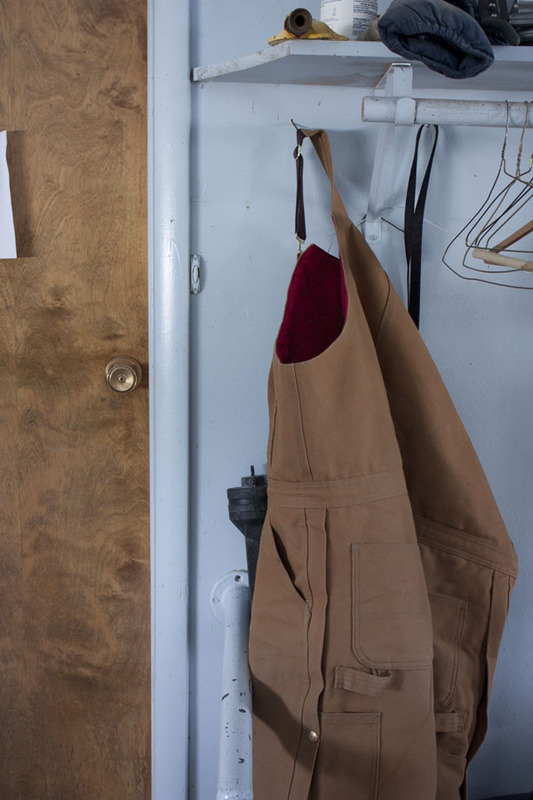 Tom would always come in from working outside and shed his work clothes and boots right inside the door. I'm trying to train him to hang them on the hook in the garage, right outside the door. Still trying. I have a long term plan for this problem that includes removing the closets you see in the top photo. 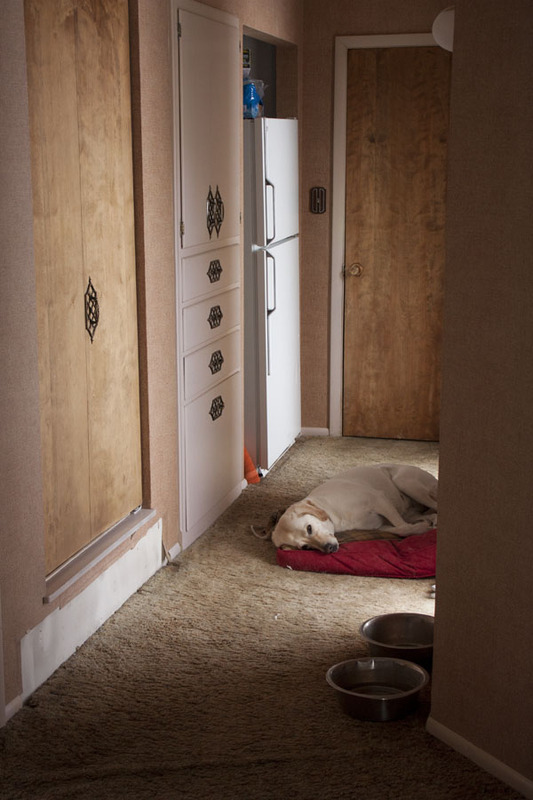 I will leave an area next to the refrigerator for the dog bed and hooks for Tom's long work clothes. Then, in the rest of the space, I want to have a long bench and hooks to function as a landing strip for our coats, diaper bags, backpacks, etc. That is all well and good, but who knows how far off the "long term" plan will be. So, to ease my frustration, I came up with a great solution. 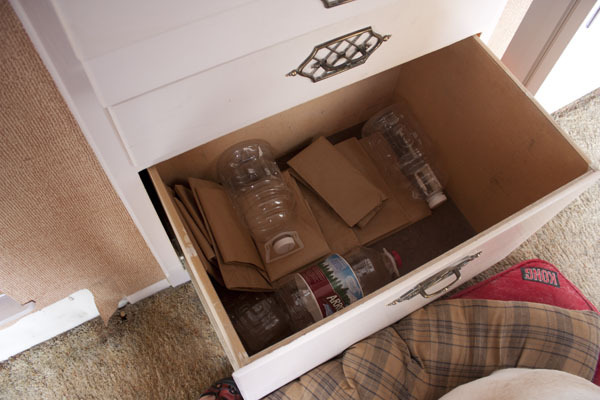 First, I removed the bottom two drawers in the built-ins. They weren't holding much more than a few paper bags and empty plastic jugs. 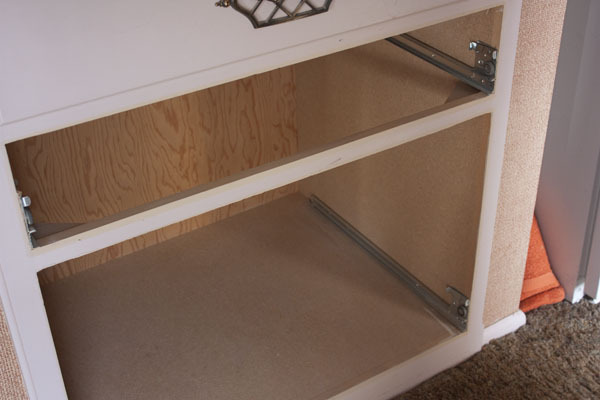 Then, we removed the drawer glides and hammered out the divider between the two drawers. 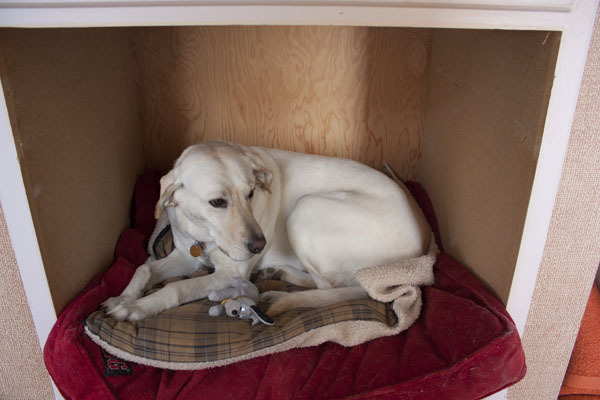 And we were left with a great new cubby for the dog bed! Ideally, we would find a different place for the food and water bowls too, but baby steps, my friend. When the weather is warmer I think those can go out in the garage.... along with the dog, I hope. She is pretty spoiled and I don't know if I have the heart to kick her out, but she sheds SOOOO MUCH!!!! I'm pulling my hair out trying to keep her hair vacuumed up. But pulling my own hair out is sort of counter-productive. :) But I digress. Mia wasted no time trying out her new bed and is just delighted with it, as am I. No more stepping tripping over the dog bed every time I leave the house! Because of the carpeting deadline in the basement i didn't clean out any closets this week like I wanted to. But the two in this hallway are on my list. Have you been cleaning out your closets? Or clearing your doorways? Do share!